What is tuckpointing? We’ve all heard the term “tuckpointing“. 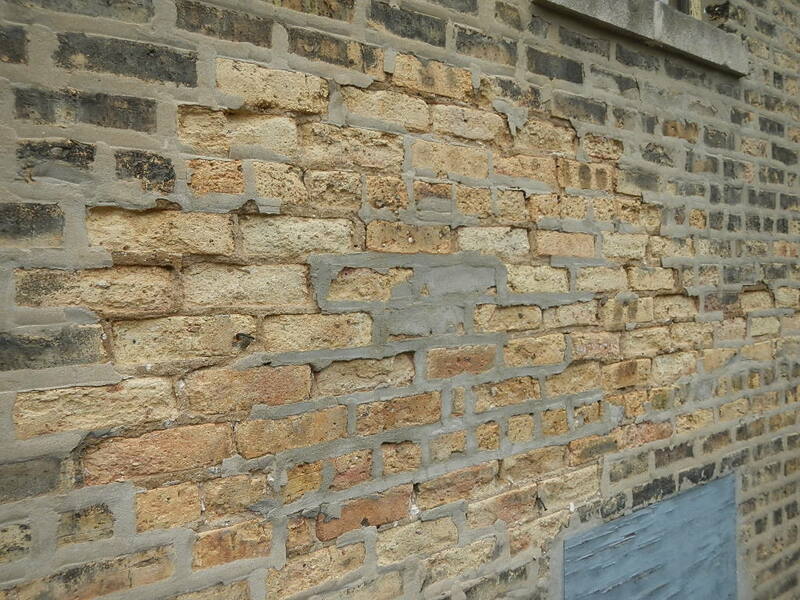 In Chicago, it’s the standard designation for any method of smearing cement on masonry walls. But, almost no one knows what this word really means. 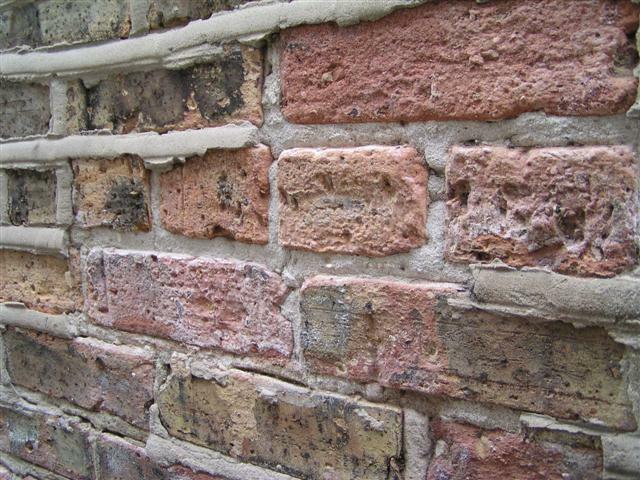 Tuckpointing is an old method of finishing mortar joints between bricks. Real tuckpointing is a method for striking mortar joints between bricks of different sizes and shapes to make them appear uniform. There was also a method of applying a decorative “tuck” of different color mortar between bricks (or stone, block, whatever). Go to Instagram and find “@tuckpointer”. That’s tuckpointing. 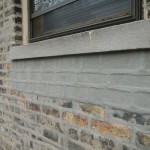 The term tuckpointing, as used in Chicago, is completely bastardized. It describes any alteration to any masonry whether it’s smearing cement on walls, rebuilding walls, or otherwise fiddling with old masonry in any manner one can imagine. Those things are not tuckpointing. Smearing cement on a parapet wall is not tuckpointing! Mounding up cement in a convex bulge is not tuckpointing! 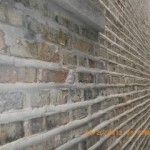 Smearing cement on completely damaged brick is not tuckpointing! In addition to using the wrong terms, everyone uses the wrong cement. Everyone. And that’s where some real problems come in. 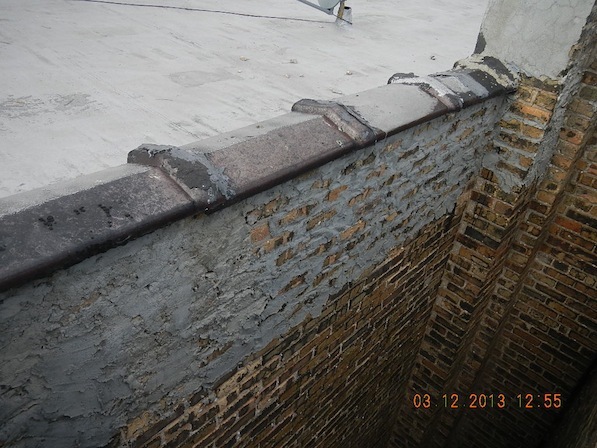 If you are anticipating repairing the masonry on your old Chicago building, you need to know a couple very basic things most masons won’t tell you. Mortar technology is a more than two millennia old, dating back to ancient Greece and Rome. Old mortar uses hydraulic lime as the primary binder. Specific types of lime, upon exposure to atmosphere (specifically carbon dioxide), create calcium carbonate in a process called carbonatation. (Not carbonation; that’s how fizzy drinks are made.) The calcium carbonate created by carbonatation binds the material together. Lime based mortar is soft, “flexible”, and allows moisture to breath in and out of the masonry. Lime mortars are soft and expand and contract at similar rates as the older soft brick. 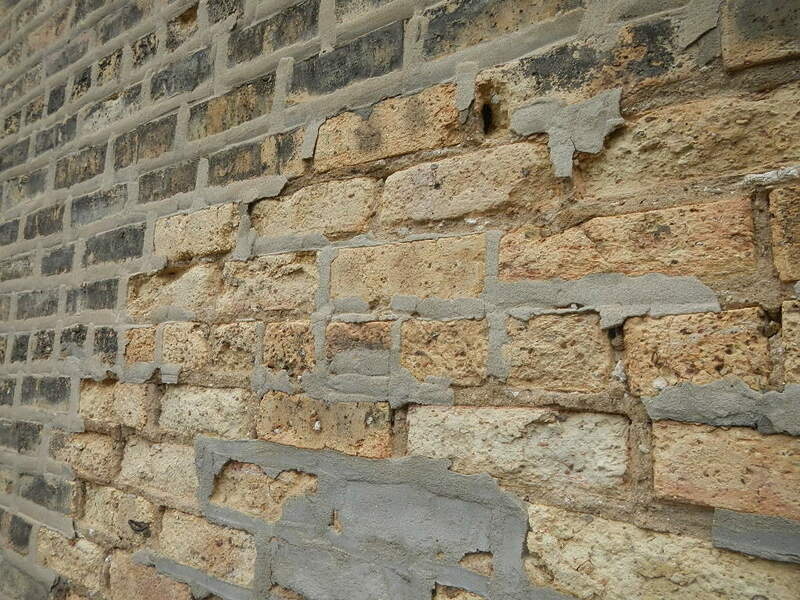 Cracks that naturally occur in any masonry are minimized by the similar rates of movement. 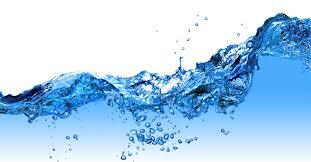 Carbonatation also heals any micro cracks in a process called autogenous healing, Latin for “self healing”. New mortar uses Portland cement as the binder. Portland cement is hard, brittle, and water resistant. It doesn’t breath, there’s no carbonatation, and it’s not self healing; cracks in modern mortar let lots of water into the wall. 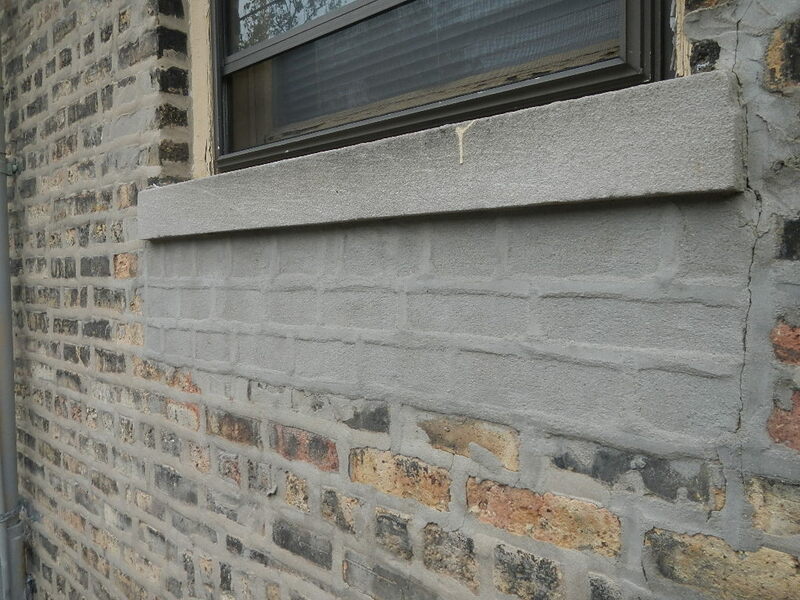 Water management in new masonry is accomplished by installing flashing that collects water and diverts it back to the exterior thru weep holes. When new hard Portland cement is laid over old soft lime mortar, it holds moisture in the wall. 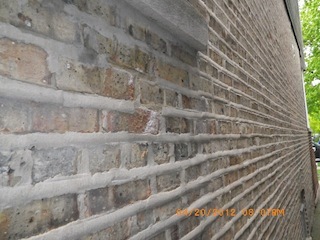 Water retained in the wall causes damage from freeze and thaw cycles. 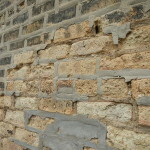 In addition to damage from freezing and thawing, using the wrong mortar can damage masonry in other ways. 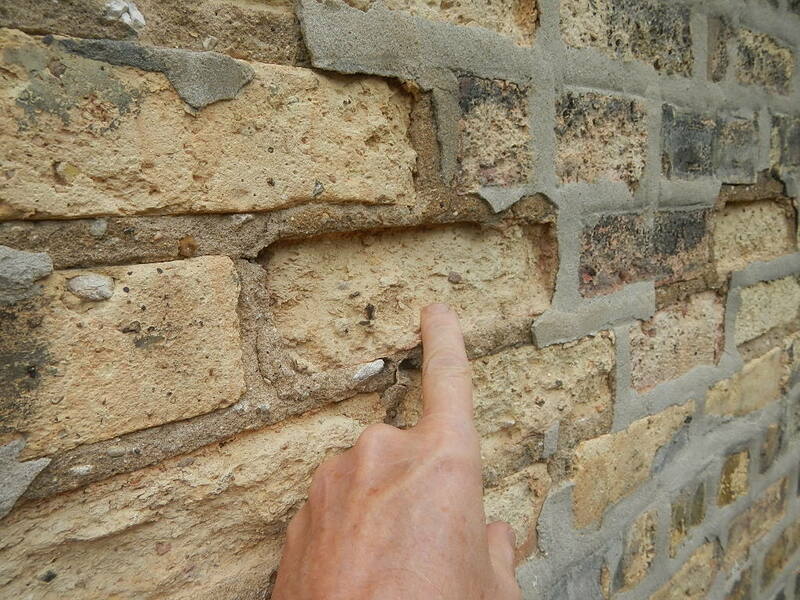 Old brick expands and contracts at different rates than the new mortar, so much so that the new hard mortar causes the face of the old brick to cleave off in a process called “spalling”. 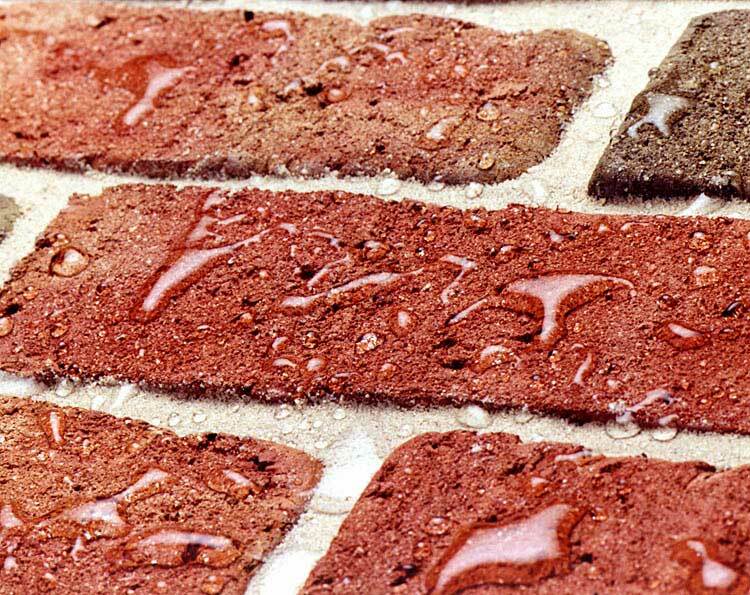 Spalling exposes the soft inner core of the brick, creating more moisture absorption, resulting in more spalling. 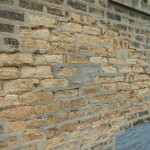 The end result is accelerated deterioration of the masonry. Massive damage caused by smearing the wrong mortar on soft brick. The original mortar is still there, but the brick is so damaged it doesn’t matter. This area fell apart, and the mason though smearing even more cement on it would somehow make it better again. Nope. Why don’t masons use the right mortar? 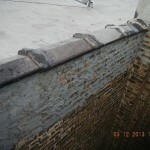 Modern masonry trade practice in Chicago, with the exception of a small number of specialty practitioners, completely eschews using traditional lime mortar like that used in all our houses. The defacto material for every job is modern Type N mortar. There are many reasons, some obvious and other’s not so much. The obvious stuff is, there’s no useful education. The trades shot themselves in the foot years ago with short sighted objectives in their trade schools (see “A Brief History of What Happened and Why”). And, the old guys that knew this stuff died off years ago without any tenable pathway for sharing their knowledge. The less obvious stuff isn’t actually all that surprising. Lime mortar is more expensive. It takes more time to apply correctly. Lime mortar requires a much higher skill set; it requires training and experience to use effectively (again with the Brief History of What Happened…..). Masonry is a tough gig, maybe the toughest. It’s not unnatural to want to go with materials that are easier to work with and lend themselves to higher production volume. Unfortunately, using the wrong material leads to conditions the opposite of what the repair is supposed to accomplish. Finally, for all those buildings that have been smeared with the wrong mortar and still seem to be working OK……..well, OK. Sometimes smearing cement on old masonry “works” to the extent it doesn’t flake off. That’s a large indication that the wall didn’t need repointing in the first place. Take a look at the featured image for this post; it shows hard Type N mortar laid over beautiful lime putty. See what it does? It flakes off. 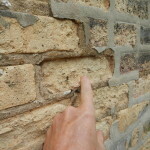 Here is a great article describing lime mortar and old masonry. Go here, here, and here for additional info about lime mortar. Here, here , and here is where you can find products and technical support. 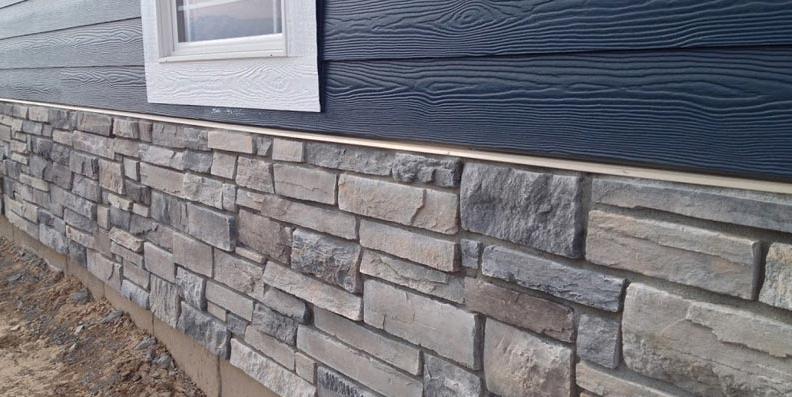 After you’ve read the articles and have a solid background in lime based masonry products, come over the House Talk to ask questions about your particular building. This is a very valuable article. We have a 1931 Berwyn bungalow that has some need of repair and maintenance, i.e. some gaps in the mortar and some spalling of bricks. We will be determining the type of mortar and what, if anything, has been done previously in terms of maintenance. Thanks to the article and other linked information, we will not rush in and do anything prior to understanding fully. I am fascinated by this topic. Cool. Put up a few pictures if you can, and let’s see what you have. I have pictures now, but don’t see how to post them. Sorry for the late reply…. We’re a new site and we stumbled. Normally I’d have you go to the House Talk section with the usual attachment methods, but in one of those vagaries of the internet, that page is down. You could post the picks to Flicker or similar posting site and link to them. As soon as we get it going again, I’ll let you know. OK, we’re up and running at House Talk. You can attach your pictures there.